Last week, I talked about some great ways to switch your dog to a whole foods diet while highlighting a handful of tasty and nutritious treats usually reserved for humans. The leaves, bark, and seeds of an avocado contain a chemical called persin. Dogs (and birds, rabbits, and horses) are especially sensitive to avocado as they can have respiratory distress, congestion, fluid accumulation around the heart, and even death from consuming avocado. Though toxic to some animals, avocado does not pose a serious threat to dogs or cats. 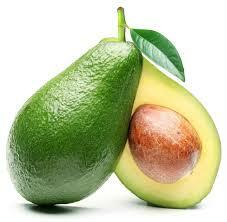 Usually a mild stomach ache can occur from eating too much avocado flesh or peel. Swallowing the pit can lead to obstruction in the gastrointestinal tract, which is a serious situation and you should get your pet to the vet immediately. 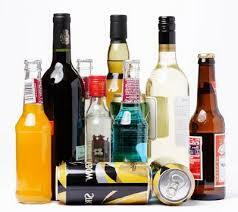 Dogs are extremely sensitive to the effects of alcohol (also refered to as ethanol or ethyl alcohol). Even a small amount of alcohol can leave your pooch severely intoxicated. Keep a close eye on your holiday champaign or wine, and don’t give your dog some of that beer your sipping! Alcohol intoxication commonly causes vomiting, loss of coordination, disorientation and stupor (I’m sure many of you can relate). In severe cases, coma, seizures and death may occur. Keep a close eye on your pup if they are showing signs of mild intoxication, but if your dog cannot get up they should be monitored by a vet until they recover. 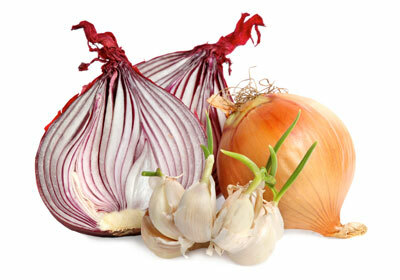 Ingestion of onions and garlic may pose a threat to dogs’ red blood cells. The odds of a dog eating enough raw garlic or onion to cause any serious damage is unlikely, but concentrated forms (dried onions, garlic powder) can pose a much greater risk. Damage caused by eating too much garlic or onion may not show up for a few days, when dogs become easily tired or reluctant to move. Take your dog to the vet immediately if they seem to be having trouble. In severe cases, a blood transfusion may be necessary. 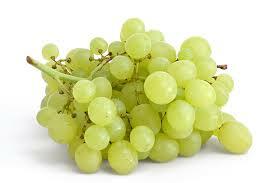 Consuming grapes and raisins has been associated with the development of kidney failure in some dogs, though the cause is unclear.Also confusing is why some dogs can eat these fruits without harm, while others develop life-threatening problems after eating even a few grapes or raisins. Of course it’s better to be safe then sorry and just not let your pup eat any grapes or raisins. Symptoms include vomiting, lethargy or diarrhea within 12 hours of ingestion. As symptoms progress, dogs become increasingly lethargic and dehydrated, refuse to eat and may have a period of frequent urination, followed by little to zero urination. Death due to kidney failure may occur within three to four days, or long-term kidney disease may persist in dogs who survive the acute intoxication. In case you missed it, don’t let your dogs eat grapes or raisins. In case it happens, successful treatment requires prompt veterinary treatment to maintain good urine flow. Here’s the big one! Unless you’re planning for a New Year’s resolution and ridding yourself of chocolate for the year, chocolate is probably in your home and could be a serious problem to your dog. Foods like chocolate candy, cookies, brownies, chocolate baking goods, cocoa powder and cocoa shell-based mulches all pose a risk to your pup. Caffeine and theobromine, which belong to a group of chemicals called methylxanthines, are what cause the issues. The rule of thumb with chocolate is “the darker it is, the more dangerous it is.” White chocolate has very few methylxanthines and is of low toxicity. Dark baker’s chocolate has very high levels of methylxanthines, and plain, dry unsweetened cocoa powder contains the most concentrated levels of methylxanthines. Depending on the type and amount of chocolate ingested, the signs seen can range from vomiting, increased thirst, abdominal discomfort and restlessness to severe agitation, muscle tremors, irregular heart rhythm, high body temperature, seizures and death. Dogs showing more than mild restlessness should be seen by a veterinarian immediately. Now you have the tools to switch your pup off the kibble. So have at it, get your pup on that whole food diet! Get them off the kibble and mystery meat canned food and help them get to a healthier, happier life!